Even Nuria did not have a big reflex camera, she was planning her Easter holidays with her family and wanted to have full command of her camera. Monuments are big building were a real challenge for her so we explored Barcelona´s main cathedral which is full of details, lights, people and photographic challenges. A beautiful experience on a sunny march morning. Yes, you say Parc Guell and not Park Guell because it is written in catalan, the local language of the city. We discovered a very big sign at the main entrance that makes it very clear. We were 17 people + 2 instructors, meeting last Saturday at the park to admire and photograph Gaudi´s work in terms of architecture. The day was splendid, because even tough we are in the middle of the winter Barcelona has ha shinny blue sky that gave us bright light, deep shadows and great colors for our pictures. our group was eager to learn more abut aperture and speed so we started exploring the secrets of contrast and aperture on everyone´s cameras. every camera a new discovery and also a wonderful opportunity. One great thing: the work of Gaudi offer a lot of texture and opportunities to expand photographic techniques and capture, texture, depth and color in a vibrant way. Gaudi´s philosophy about creating a point where architecture and nature interact in an harmonious way is the legacy we have recently discovered in sustainable architecture. But also, speed was a photographic interest for this group, freezing and registering movement here was not an easy task, because such a splendid day made visitors lay down or recline o enjoy the magnificent view. We could not stop laughing about freezing relaxed people, so we relaxed ourselves and joined them. Ranan came from New York to spend a couple of months in Barcelona. 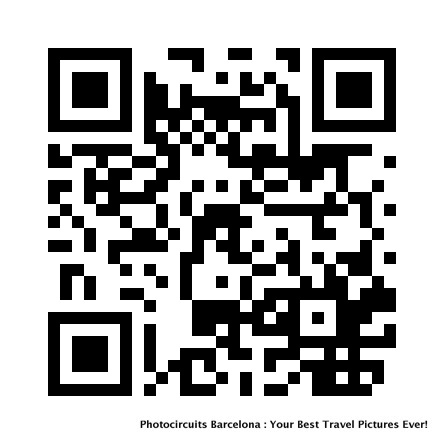 He was certainly interested in developing his photography skills and took the Raval Photocircuit. As his main interests were architecture and moving objects: the perfect target were Raval Skaters, they usually skate around Macba and other squares downtown, specially during the summer. The afternoon light provided two main scenarios one completely illuminated with the sunshine and the other back light images. In addition a high speed was needed to freeze jumping and figures they constantly made. In the background there was alway architecture both modern and classical, sometimes mixed, it was a nice idea to set them in an eclectic environment instead of the traditional graffiti-like backgrounds everyone uses. After skaters, Ranan focused on architecture and discovered that it was very cool to meter reflections and create contrast between the light inside the reflection and the actual ¨real¨light in the building. We ended our tour in Drassanes the Old Boat factory.